Explore this county’s thriving Amish community through tours, sightseeing, and visiting the collection of country stores that demonstrate the history of extreme craftsmanship in this community. With the 32nd Annual Amish Country Bike Tour on Saturday, September 8, it’s a perfect time to visit, join the fun, and discover a unique, peaceful way of life. Just west of Dover is Delaware’s Amish countryside, where families live a simplistic lifestyle among the beauty of the natural world. The bike tour is a perfect opportunity to tour the scenic back roads and rolling farmlands throughout Delaware’s Quaint Villages truly immersed in nature. 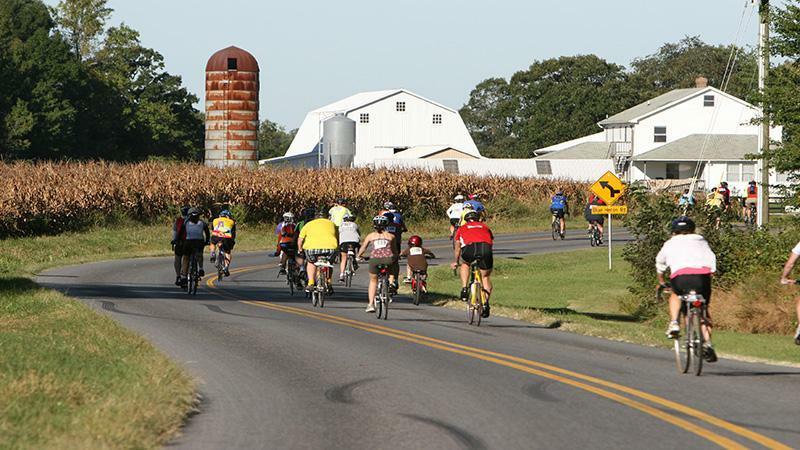 Suited for all ages and activity levels, this cycling event includes planned stops throughout the Amish countryside, including a break at the famous “Pie Stop” at the Amish Schoolhouse. After the tour, visit the many Amish-owned shops that are sprinkled throughout the community, including Rose Valley Furniture, Shady Lane Selections, Yoder’s Greenhouse, Spence’s Bazaar (where many of the area’s Amish vendors set up shop), and more. With stores featuring handcrafted furniture and cabinetry of the highest quality, handmade goods from quilts to glassware and china, fledgling plants in the many greenhouses and nurseries, and homemade baked goods and treats, the Amish countryside is full of treasures waiting to be discovered and that you’ll definitely want to bring home with you. This year’s tour includes some updated locations and routes; be sure to check all this year’s updates here. Register online by September 4, 2018 or at the event on Saturday, September 8, 2018 from 7 a.m. to 10 a.m. Cash or credit cards accepted. Find the best places to stay for your weekend trip, and read more about the quaint shops and the Amish lifestyle before you go. We look forward to seeing you out on the tour!